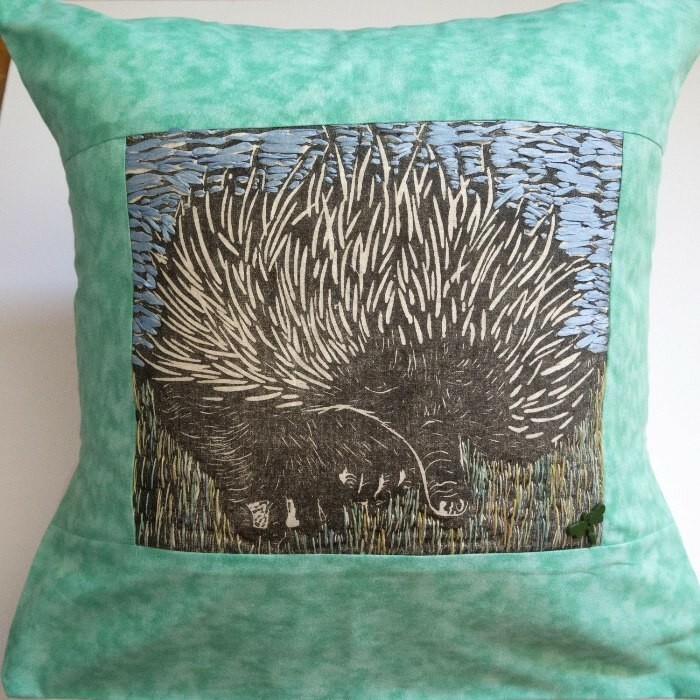 This handmade cushion features an embroidered lino print design of an Echidna. 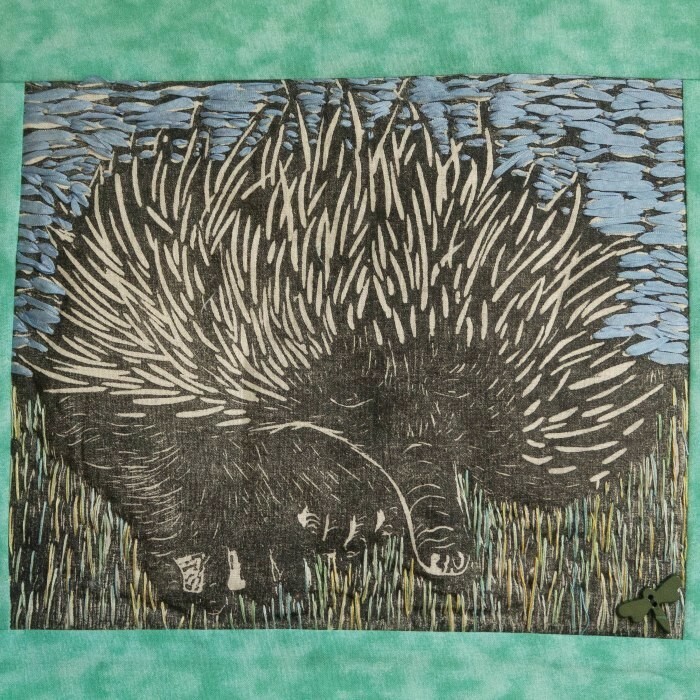 The design is an original lino print which has been printed onto the fabric and then the background has been carefully hand embroidered to accentuate the design. 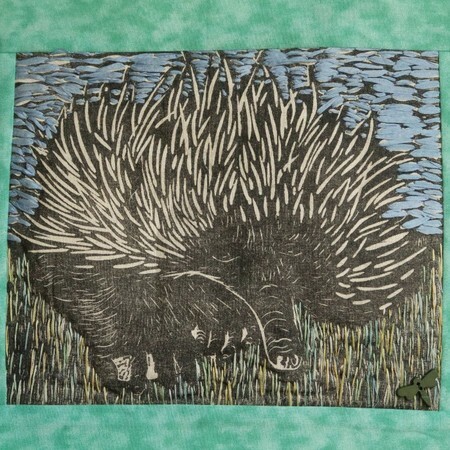 This is done by adding a wadding layer behind the print and then when embroidered the design has an additional depth. Likewise when the cushion insert is added this further plumps up the design. Embroidery has been done using silk ribbon. Cushion insert is not included to enable easier postage, which is free for standard postage within Australia. 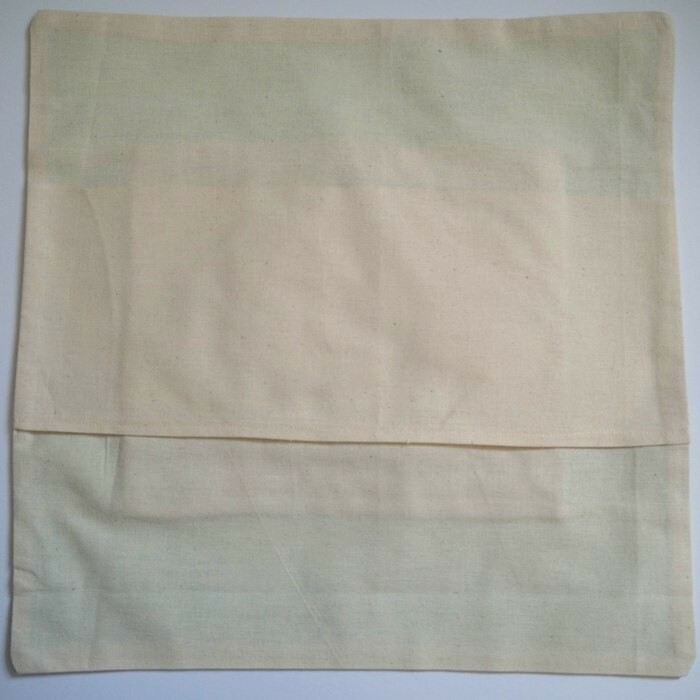 The cushion is made from high quality polyester/cotton fabric and can be hand washed. The cushion cover has a split back to enable easy removal of the cover for washing. Because each item has been hand embroidered, each one is unique. 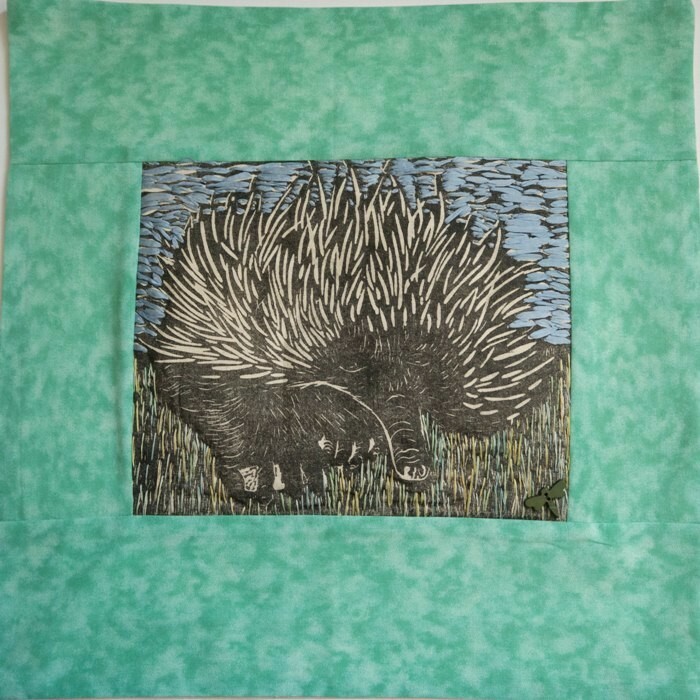 Cushion size is 40 x 40 cm and requires a size 16 cushion insert.